The first spinoff movie we got was Rogue One, which was along the lines of what I personally wanted to see out of these even year movies. It was a side story, featuring events outside of the main cast and lineage of the older movies. It was a broadening of the universe. The cast of characters almost entity original, with recognisable faces being relegated to cameos. Upon hearing the news that the next spinoff movie was going to be about a young Han Solo, I was kind of bummed. It felt like the easy, marketable choice. We know who Han Solo is and what he is about. We know nothing too bad is going to happen to him, at least not up until he’s of Harrison Ford age. It feels like an unnecessary story to tell in my opinion. But I thought “Hey, it’s still Star Wars, I’ll give it a fair shake.” Then the stories about problems behind the scenes started to come to light. If rumours of the time were to be believed, there were a lot major clashes during the production of Solo, which didn’t give any hope to those of us with lukewarm feelings towards the upcoming film. Disney and Lucasfilm didn’t help things but giving nothing away regarding the production in on official capacity. Finding any information that was concrete was next to impossible, in these cases I tend to expect the worst. Images of the actors in costume were next to impossible to find and everyone was left scratching their heads as to what was going on with this movie. Apparently, the pair wanted to direct the movie as a full on comedy, encouraging the actors to improvise and go off script, something Luscasfilm were adamantly against. I’m torn about this in a way. I don’t want to see Star Wars stray too far from its established tone and themes, by getting too raunchy for example. But this is also an example of Disney and Lucasfilm expressing an incredible amount of control over their product to the point where directors are losing a lot of their autonomy. 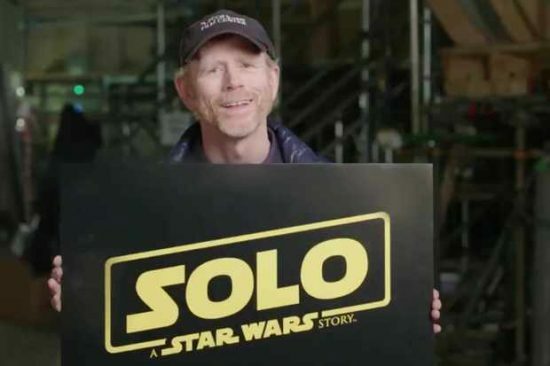 So eventually, Ron Howard was brought on to finish off the the movie. A lot of critics and film blogs criticised this decision, saying he was too safe of a choice, and a far stretch from the type of directors that Lord and Miller were before him. After seeing how much Disney seemed to want to crack down on the pair though, Howard seems like a choice that will, at the very least, get production back on track and deliver a functional product. The last thing Disney want right now is a bomb. With Howard on board, despite filming being nearly complete, he oversaw extensive reshoots over a short period of time. Learning this, coupled with the fact there was still nothing for the public to see for all of it was very worrying. 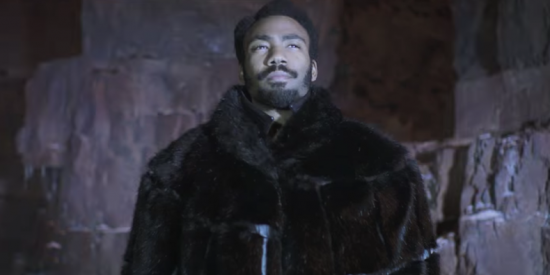 It wasn’t till this year’s Superbowl that we finally got to have our first glimpse at Solo. And y’know what. It’s a good looking trailer. Considering that we’ve seen practically nothing about it till now, I felt like the trailer makes a good impression. As these movies tend to be now, the visuals are amazing looking. Shots of dark side streets and Star Destroyers in swirling nebula make for some very cool imagery. And the movie does seem to be reaching further into the seedy underbelly of the smuggler’s Star Wars, something I’ve wanted to see expanded upon in the movies. While the trailer does seem to still boast the grander, epic space opera aspects of the franchise, there is a lot of grime in there too. Sleazy imperial recruitment officers, speeder chases through back alleys, smokey hangers with dirty starships. My main hope for this movie is that it gets away from more epic aspects of the series, such as wars for galactic control and the nature of the force, and just shows us a sleazy story about smugglers and petty criminals. 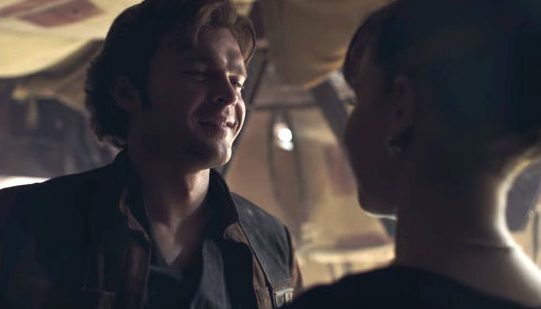 My one issue about the whole affair is Alden Ehrenreich as Han Solo. He just doesn’t look or sound like Harrison Ford to me. 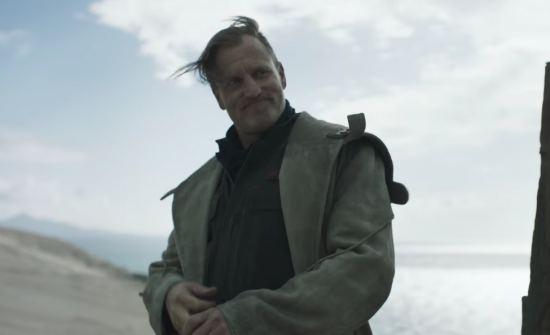 There is one shot in the trailer where he kind of looks the part, but for the rest of the time he just looks some guy with a massive jaw. I’ve got nothing against the guy, and if this was just a movie called Smuggler’s Run or something I’d be fine. But it’s Solo… It’s not actually a major issue though, just something that’ll bug me. As we stand right now. I feel like Disney have managed to turn around the general disinterest in their new movie after months of silence peppered with rumours of constant production issues. Rogue One went though production drama too, and I ended up really enjoying that movie for its darker tone and action scenes. 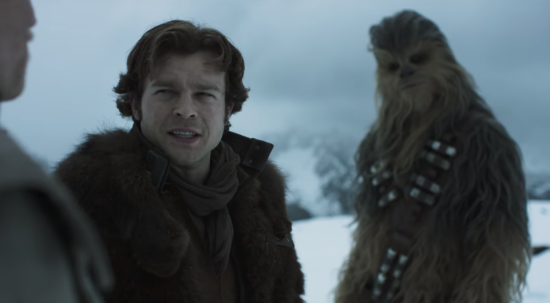 I am more optimistic about Solo after seeing the trailer, but it’s still the movie I’ve been the coolest on since Disney’s reboot. I find myself anticipating it now due to the setting and little seen criminal side of the Star Wars universe in the movies, rather than the main character, which I imagine is supposed to be Disney’s selling point. I’ll obviously be seeing this regardless because, come one, it’s Star Wars. My more complete thoughts will follow that in late May. But as I stand now, my thoughts have gone from middlingly negative, to ever so slightly optimistic. But if there is a scene that shows Han Solo getting a scar on his chin, I’ll be pissed. Posted on February 12, 2018 February 12, 2018 by WooderonPosted in Movies, My Thoughts on:Tagged alden ehrenreich, chewbacca, disney, donald glover, han solo, lando, lucasfilm, millenium falcon, ron howard, solo, Star Wars, star wars story, trailer.